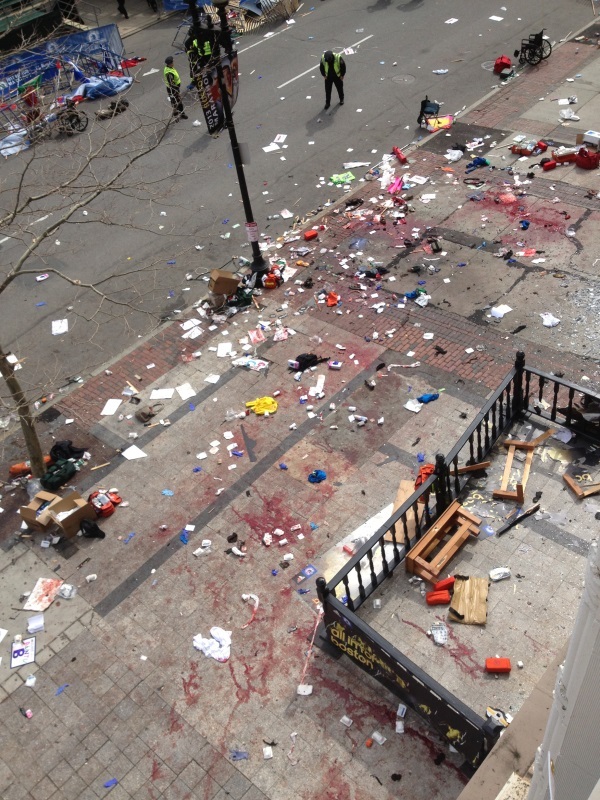 BOSTON: Massachusetts Institute of Technology PR specialist Bruce Mendelsohn was attending a Boston Marathon party at the Boylston Street office of Marlo Marketing/Communications when the first bomb knocked him out of his seat. Mendelsohn, director of communications and outreach at the Gordon-MIT Engineering Leadership Program, smelled gunpowder and saw white smoke rising from the street three floors below. He yelled at his younger brother, a runner who had finished the marathon in less than three hours, to get away from the windows. Moments later, he heard the second bomb explode. After the blasts, Mendelsohn rushed outside to help. The US Army veteran administered first aid to a handful of victims, including making a tourniquet from a t-shirt and applying it to a woman's bleeding calf. That woman was later photographed by the Associated Press as she was carried away from the scene by a Boston firefighter. Two bombs exploded Monday near the Boylston Street finish line of the Boston Marathon, killing three people and injuring 176. Since then, Mendelsohn has shared his story with a number of media outlets, an experience he says highlighted the most fundamental communications lessons. “Tell the truth, tell it early, and tell it often. That's been my guiding principle with all the media I've spoken with in the past couple of days,” Mendelsohn says. That principle has proved especially important amidst a flood of media coverage on the tragedy, some of which has gotten the facts wrong, he adds. In an early interview with a New York Times reporter after the attack, Mendelsohn said he could not be sure how many people had been killed or wounded, but there appeared to be 10 to 12 casualties at first glance. His comment was later picked up by the New York Post, which published a death toll of 12 even after most major media outlets had reported otherwise.